I saw Elvis plunging into the void. 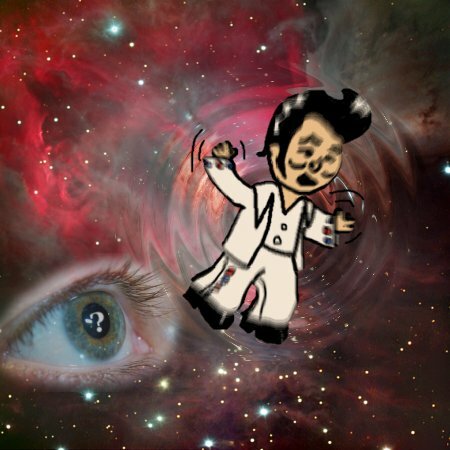 An ambiguous eye gazes at Elvis as he struggles in an interstellar whirlwind. I wonder if Elvis got sucked into a cosmic vortex! 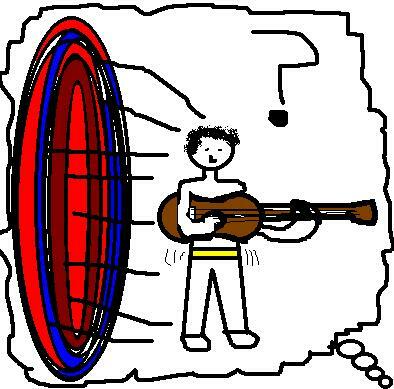 There is a dream about a colorful vortex that reaches out for confused folk singers with its tentacles. the sixties were great! 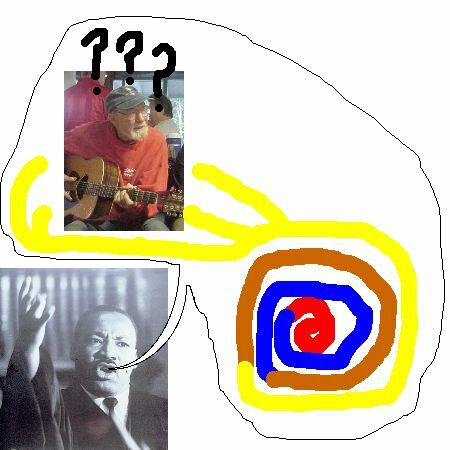 folk music, civil rights and acid flasbacks that left me kinda confused.